The person with mild cognitive impairment or early stage dementia can keep their mind active with these especially designed jigsaw puzzles. Also appropriate for Adult developmental delay. 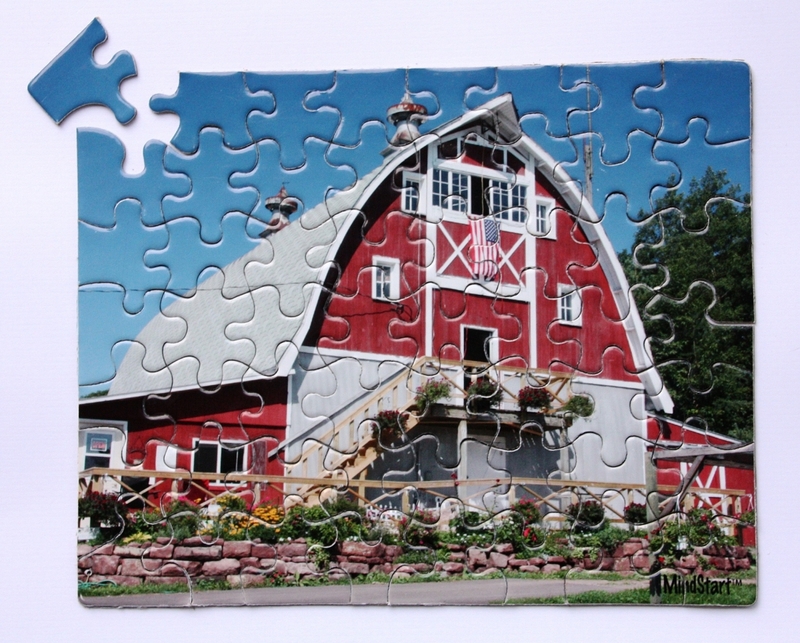 The Barn puzzle has 63 large pieces and is 11.5 x 16.25 ins (individual piece size is 2 x 13/4 ins) when complete. It is made from a thick chipboard.